Home » GBP » Pound to New Zealand Dollar Exchange Rate Outlook Higher on RBNZ Rate Cut Bets? in GBP, GBP to NZD, NZD. Despite being weighed by poor UK data earlier in the week, the Pound Sterling to New Zealand Dollar (GBP/NZD) exchange rate is on track to end this week much higher due to broad weakness in the risky trade-correlated New Zealand Dollar (NZD). After opening this week at the level of 1.8960, GBP/NZD briefly dipped to a three-week-low of 1.8762 before rebounding towards the end of the week. GBP/NZD gained over a cent and looks to end the week over a cent higher, nearer the level of 1.9150. The Pound (GBP) outlook has benefitted from hopes that a softer Brexit can be achieved, while the New Zealand Dollar has been sold on a combination of both domestic and global factors. While the UK is now one week closer to Brexit with no deal for Brexit in place, the Pound was able to avoid major losses as analysts predict the latest Brexit developments make a soft Brexit look slightly more likely. Prime Minister Theresa May was able to secure another round of negotiations with the EU, bolstering hopes that her deal would be made more appealing domestically and increase its chances of passing. Despite the formal Brexit date still being set for the 29th of March, analysts are also becoming more confident that the government will be forced to formally delay the Brexit date. These expectations and hopes are keeping Sterling supported, despite persistent fears that a No-deal Brexit is still possible or that Britain’s economy will continue to slow as Brexit uncertainty persists. The Brexit outlook didn’t particularly improve this week, but the Pound to New Zealand Dollar exchange rate outlook rose regardless due to factors making the risky New Zealand Dollar less appealing to investors. Towards the end of the week, a rise in US-China trade tensions, combined with weaker-than-expected New Zealand data left markets betting that the Reserve Bank of New Zealand (RBNZ) may signal that an interest rate cut is becoming more likely. Concerns about relations between the US and China worsened today as US President Donald Trump said he would not meet with China President Xi Jinping before the 2nd of March. As the 2nd of March is the deadline in trade talks, after which the US is set to ramp up trade tariffs on China, this rattled markets and led to risk-aversion. The New Zealand Dollar was also less appealing following New Zealand’s Q4 unemployment rate report on Thursday, which showed unemployment unexpectedly worsening from 4.0 to 4.3%. While the Pound to New Zealand Dollar exchange rate has risen this week on market risk-aversion and weak New Zealand data, the Pound was unable to hold its best levels. Some optimism about a possible soft Brexit is not enough to keep the Pound climbing as No-deal Brexit fears persist. The possibility of a worst-case scenario Brexit unfolding is likely to limit the Pound’s potential for stronger gains. As a result, any potential developments in UK-EU Brexit negotiations or domestic sentiment for the government’s Brexit plan are likely to cause major movement in Sterling. 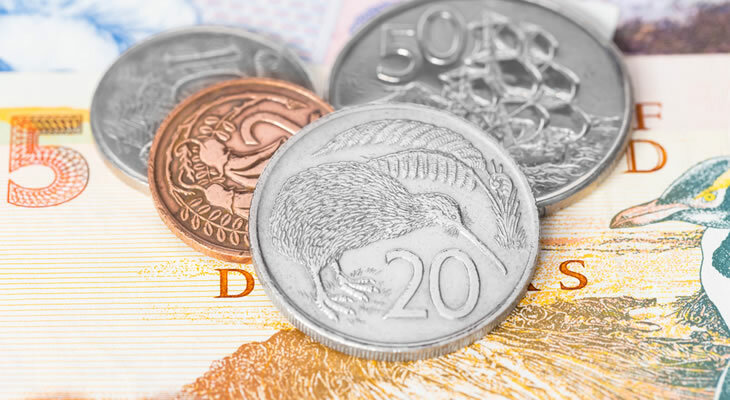 The coming week is likely to be a notable one for New Zealand Dollar movement too, with the Reserve Bank of New Zealand’s (RBNZ) February policy decision set to take place on Wednesday. If the bank ramps up signals that an interest rate cut is possible, the New Zealand Dollar may be in for further losses. US-China trade developments, as well as upcoming UK growth data and New Zealand business PMI data, could also influence the Pound to New Zealand Dollar (GBP/NZD) exchange rate outlook next week.